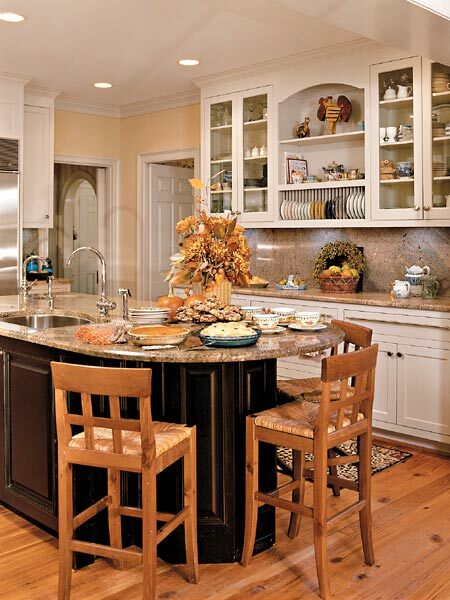 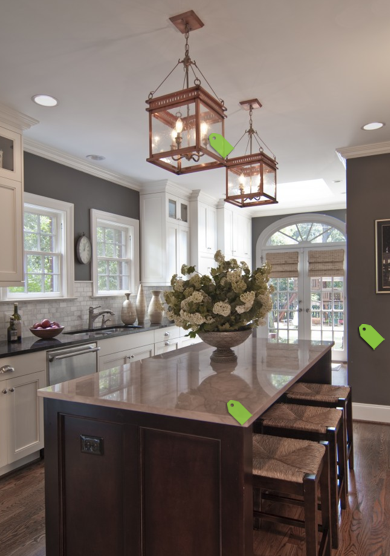 Have you ever noticed how your kitchen becomes the gathering place during parties or dinners? 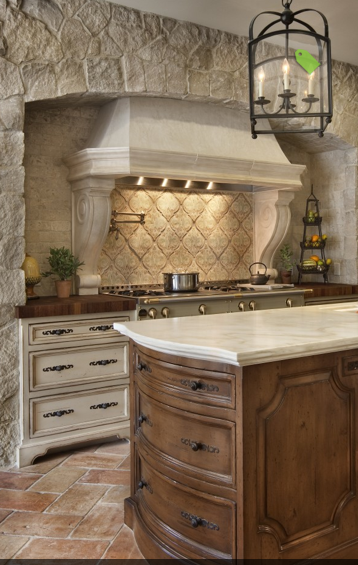 Beautiful stone and tile textures...love a chandelier over an island. 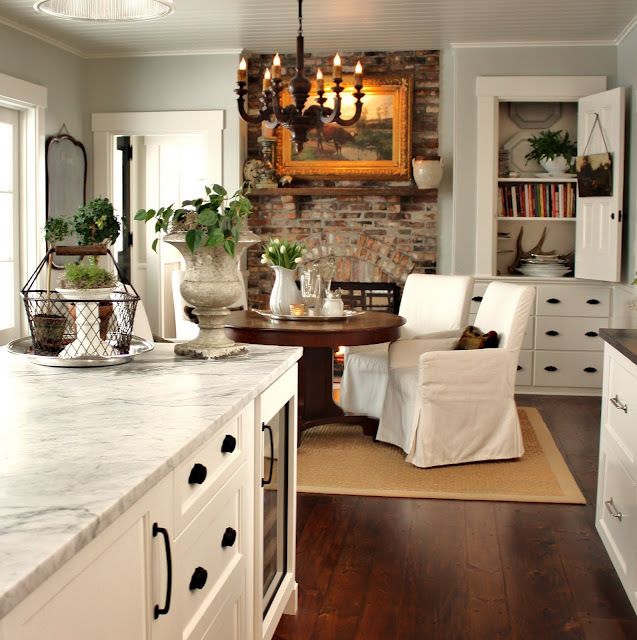 Making use of every inch of space, an island can be multipurpose...work space/sink and a bar. 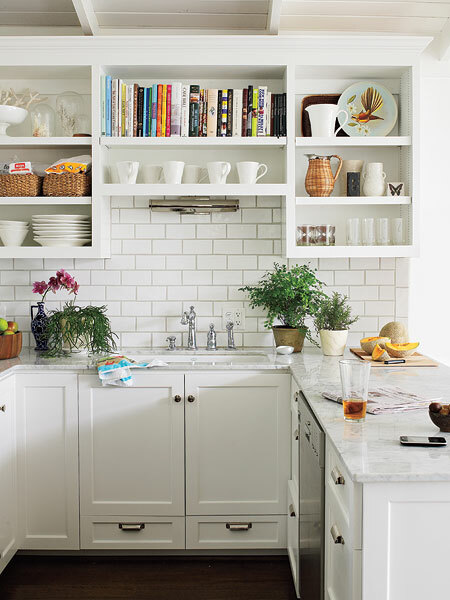 Open shelving not only looks good but gives a kitchen a larger feel. 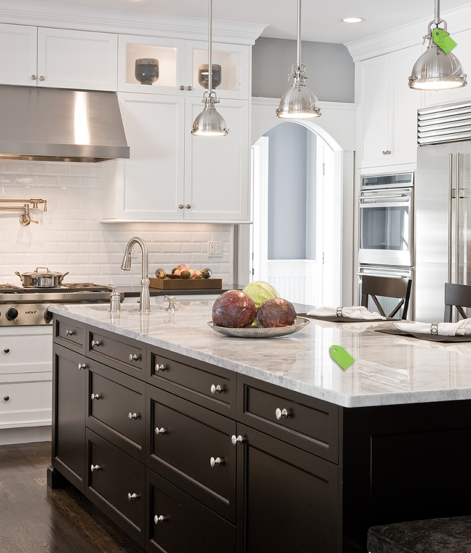 Subway tile and the white cabinets create a crisp clean look.